Unfettered by pride in its six centuries-old alliance with England under the Treaty of Windsor, Portugal is standing by its continental European partners in their response to the UK’s shambolic moves to leave EU at the end of next month. This was exemplified by last week’s cordial meeting in Lisbon between Portugal’s President Marcelo Rebelo de Sousa and President Rumen Radev of Bulgaria. Brexit was among the main topics discussed, Bulgaria being one of the strongest advocates of greater EU integration. Portugal, too, has an integrationist attitude within the EU in contrast to its oldest ally. It’s hoped that Brexit will promote more economic, social and political integration rather than encourage further departures among European populist parties. Italy is now in recession, but Portugal’s economy has been slowly recovering from the brink in the bad old days of bailouts. Although it is predicted that Portugal may be among the countries worst affected by a no-deal Brexit, crucially its tourist industry continues to thrive. The UK is one of Portugal’s top trading partners, accounting for around 8% of its total exports. 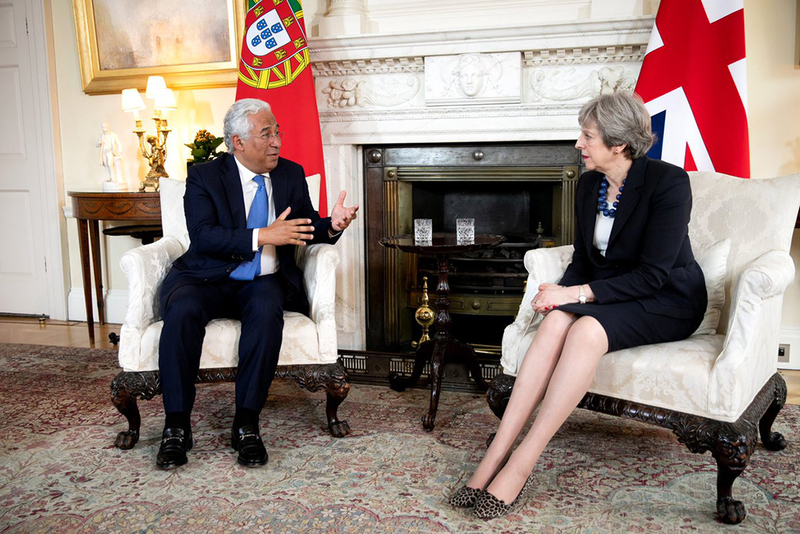 More than 2,600 Portuguese companies operate in the UK and it’s estimated that in recent years between 120,000 and 350,000 Portuguese have emigrated to the UK to live and work. More than 70,000 British citizens live permanently or own secondary homes in Portugal. More than two million Brits visit Portugal every year. 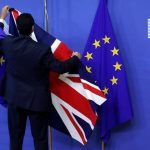 While Britain has long said it will formally exit on March 29, Portugal’s foreign minister Augusto Santos Silva is among those who believe a proposed delay until the end of June would be wiser given Mrs May’s hopes of renegotiating a new deal. But the heads of all 27 EU member states have said repeatedly that while they do not want a no-deal Brexit, they are not willing to renegotiate the deal agreed with Theresa May last December. Much confusion and uncertainty still prevail. For example, it has been pointed out that one of the biggest challenges posed by Brexit will be the loss of legal powers such as the European Arrest Warrant system. Among the many imponderables is that Brits may need to purchase an International Driving Permit (IDP) to drive in the EU. But it’s not all bad news. Even the prospect of a no-deal scenario does not seem to be significantly deterring UK citizens from planning holidays in the EU. Package holidays are currently on sale in the UK as much as 36% cheaper than this time last year. Analysts say that two years ago, package holidays from the UK to Turkey were at least 22% cheaper and as much as 64% cheaper than those to Spain or Portugal. This year, however, package holidays to Western Mediterranean destinations such as mainland Spain, Majorca and Portugal are, on the whole, cheaper than to Turkey. Bookings so far for 2019 show that the most popular short-haul destinations for British holidaymakers are the Algarve, the Costa Brava, Crete, Corfu and the Costa del Sol. The tourist industry has welcomed last week’s EU announcement that British holidaymakers will not be required to apply for visas to travel to European countries, even in the event of a no-deal Brexit. Whatever the outcome of Brexit, British passport holders will be able to visit for up to three months within any 180-day period. They will be allowed to travel without visas anywhere in the Schengen area, which includes the most popular destinations in Portugal, Spain and France. Britons wishing to work in any of the EU countries will likely need visas, although free travel within the Schengen area will also apply to them. The new visa rulings will come into effect immediately after any no-deal Brexit. 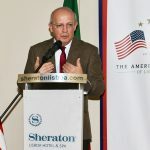 Should a deal be successfully struck in the coming weeks or months, the visa rules would not be required until after a transitional exit-period concludes in December 2020. The visa-free travel decision will be guaranteed by all 27 EU member countries so long as Europeans are allowed equal travel rights to the UK. Prime Minister Theresa May has already promised such rights. The Portuguese government has planned not only for visa exemptions in the event of a no-deal Brexit, but also dedicated passport control lanes for UK flights. Other potential difficulties for short-term British visitors are being considered or have already been settled. For example, the EU has already offered to allow flights to continue as normal in the event of a no-deal Brexit. The UK government has said that compensation rights will be kept in place and not diminished in the event of delayed or cancelled flights. Use of the Portuguese National Health Service by British holidaymakers will remain in place. Len Port is a journalist and author based in the Algarve. Follow Len’s reflections on current affairs in Portugal on his blog: algarvenewswatch.blogspot.pt. Article originally Published in the Algarve Resident on Thursday, 7 February.